Every time I work at Home & Family I have an absolute blast. Their team is truly “family” and everyone is so warm and welcoming. So it was even more special to work with Cost Plus World Market, partners I’ve worked with for years now and is a dream company to represent. The theme was a holiday moving watching party! 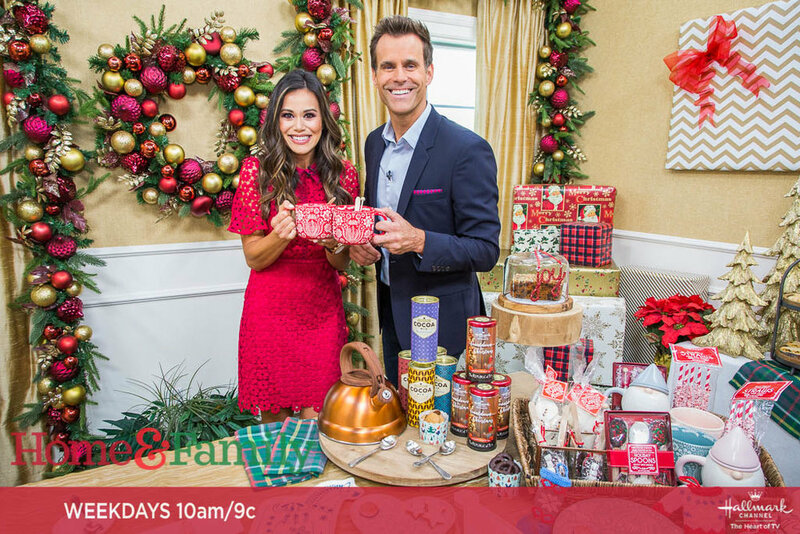 Do you love the Countdown to Christmas on the Hallmark Channel as much as our family? They have the best movies and it always gets us in the holiday spirit. For this set up I created a few different themes. The first is for families complete with a hot cocoa drinking station and all the yummy fixins like snowmen marshmallows. The other is for girls night in and is all about lux touches and feminine colors. When my friends come over I love spoiling them with charcuterie boards, cocktails and dessert. You can watch the full segment here and then let me know if you set up your own holiday movie watching party!